Is your computer acting strangely Are programs slow to open Strange error messages popping up everywhere These are some of the symptoms of a virus or spyware. 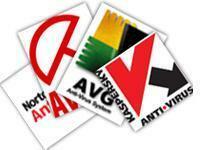 Our Computer Services provides onsite virus removal and can also give you advice on Anti-virus software. Although it is the IT industry that depends entirely on computers for their all of the activities, almost every one of the business today relies on computers for a variety of tasks. - This is a Security Tool for your website. - A general purpose Malware Finder and Removal Kit for websites. - Webmasters can use it to scan all files in the website and detect suspicious strings. - Certain strings can be removed semi-automatically based on the hints shown by the kit while others have to be removed manually. Is your Laptop often unresponsive Do you see numerous popups while you are browsing If so, you may be a victim of an AdWare, Spyware or Virus attack. These programs do not simply create the nuisance popups, they can also lead to identity theft. Our technicians will protect you from these hazards by running advanced and thorough AdWare removal, Spyware removal and Virus removal tools.